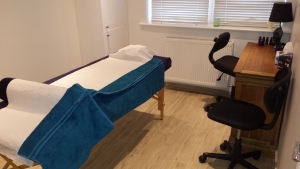 East Dulwich location: the prices for all treatments provided are £30 for 1/2 hour, £45 for 45 minutes, £60 for 1 hour and £90 for 1 1/2 hour. London Bridge location: the prices for all treatments provided are £35 for 1/2 hour, £50 for 45 minutes, £65 for 1 hour and £95 for 1 1/2 hour. A series of 5 prepaid treatments entitles you to a 5% discount and 10 prepaid treatments entitles you to a 10% discount. At Life Massage we really care about your health and wellbeing. For this reason at our East Dulwich location, we offer a flexible pricing list. This means that although the above are our prices, you are welcome to leave less, if you are having some financial restrictions but are in need of our service or you are welcome to leave more, if your financial circumstances allow and you are guided to do so. We are happy to discuss any treatment plan. Please always give us 24 hours notice if you need to cancel or reschedule your appointment, to give us a chance to fill the slot. All bookings cancelled with less then 24 hours notice will be charged at the full price. A full refund will be credited to your account for cancellations given within 24 hours of your booking. Life Massage can accept card payments, but there is a surcharge of 3.5%. To avoid the charge, please pay by cash on the day or via bank transfer at the time of booking (Nationwide Account n. 31802397 Sort Code 07 01 16 making sure your name is displayed). Please specify your method of payment when booking.